A Book by one of our members, Gary Stephens. Let us know what you think of it. In less than ten days, four asteroids will impact the Earth, and no place on the planet can provide refuge from the collisions. "We’re going to use nine megaton warheads in space and we’re not sure they’re large enough to be effective. Why would you even consider using kiloton-range surface-to-air warheads as back-up?" The answer was succinct. "Because they’re all we have." When NASA detects huge asteroids hurtling toward Earth, the President of the United States announces his plan to deploy nuclear warheads from the space shuttle to destroy them. As the West Coast evacuates, General Jack Harrison, a man haunted by nightmares from a long ago war, is chosen to implement a controversial and top-secret backup plan should the shuttle mission fail. Against a clock that seems to be ticking far too fast, Jack, two long-time comrades, and a group of men and women little different from any of us feverishly work to turn a Cold War museum into an operational Nike-Hercules battery. Their bold attempt to blend new and old technologies to thwart the unthinkable leaves them questioning whether their mission is as futile as it is daring. The only thing of which they are certain is that if they fail, they die. This intricately woven story about the meeting of technology and faith challenges beliefs and serves as warning to us all of a natural disaster that is not only possible, but probable—and for which the world is still defenseless. Gary Stephens, a career U.S. Army officer, has also been a space and defense industry test analyst and researcher. 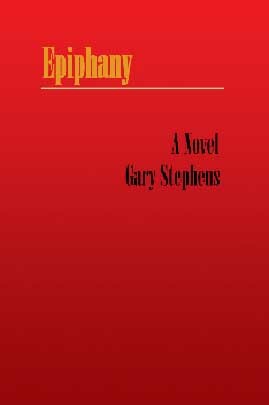 Published in 2007, Epiphany is available at Amazon, Borders, and Barnes & Noble. Type "Epiphany Gary Stephens" in their Web search boxes.